Highlighting the importance of healthy ecosystems, today’s top story quotes the UN’s FAO who says healthy soils are key to achieving sustainable development. Healthy soils support healthy plants and are one of the most complex of ecosystems with millions of different types of bacteria, fungi and animals working to produce soil from decaying organic matter. In other thought provoking news, a compelling proposal to make the financial system more like our health system and how we shouldn’t be too hard on ourselves when we propose imperfect waste solutions, particularly plastic at this point in time –solutions, however imperfect, can be improved upon; and thinking about what really makes a liveable city. There’s also the latest cartoon from First Dog on the Moon. 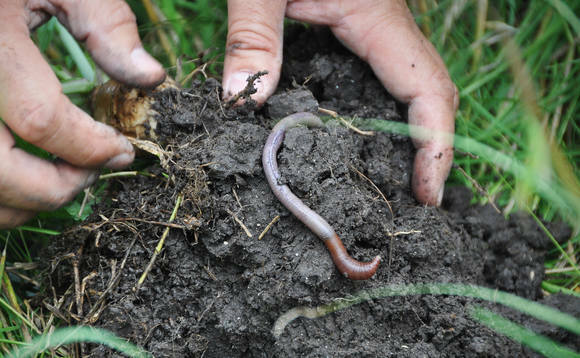 Healthy soils are key to tackling food hunger and climate change, says the UN’s food agency. Graziano da Silva, head of the Food and Agriculture Organization (FAO), made the argument at a recent conference in Brazil. “Although soils are hidden and frequently forgotten, we rely on them for our daily activities and for the future of the planet,” the FAO Director-General said. The UN agency has identified 10 threats to soils which can directly impact food security, biodiversity and reducing carbon emissions. These include the level of erosion, acidification, nutrient imbalance, and salinization. Between 1982 and 2016, the number of “marine heatwaves” roughly doubled, and will probably become more common and intense as the planet warms, a study released on Wednesday found. Prolonged periods of extreme heat in the oceans can damage kelp forests and coral reefs, and harm fish and other marine life. USA – Red tide is killing Florida’s southwest coast. Fish, manatees, sea turtles — some of them endangered — and nine dolphins have washed up dead on the beaches, and all of them are confirmed or suspected to have been poisoned by the algal bloom. The body of a young whale shark was found on a beach in late July, and biologists believe that it was the first known whale shark to have been killed by red tide. Now the toxic algae — Karenia brevis — is working up the coast from Sanibel Island to Tampa Bay. Respiratory irritation in humans has been reported as far north as Manatee County, just south of Tampa Bay, where high concentrations of the algae were measured last week. Attempts to find a new generation of pesticides to replace neonicotinoids have been dealt a potential blow. Neonicotinoids are the most commonly used insecticide in the world, but had been linked to bee declines. Studies suggest a new type of pesticide seen as an alternative to the chemicals, which have been banned in many countries, may have similar risks. Something of a boom in the discovery of new species is taking place right now. It is so significant that some say it is similar to the period of the 18th and 19th centuries when European naturalists ventured into newly discovered lands and brought back an astonishing number of exotic new plants and animals. But how can this be so when species worldwide are disappearing at unprecedented rates? NEW ZEALAND – The future of Wellington looks different for cats and dogs as the city moves towards predator-free status. Pets won’t be considered predators, but there will likely be a lot more restrictions to keep them separate from wildlife. Research from the University of Otago’s department of zoology has found the restoration of our native species should not be limited to national parks. Earlier this year the chief of a financial planning firm collapsed in the witness stand during Australia’s ongoing royal commission into misconduct in the financial services industry. He had to be taken to hospital in an ambulance – some would say a fitting metaphor for the state of the industry. Fortunately for him the health care system doesn’t operate like the financial planning industry. If it did he might have been “treated” according to what was most profitable for the ambulance service rather than what was best for his well-being. Large businesses will soon risk losing investor interest and stakeholder trust unless they stop “cherry-picking” which of the United Nation’s (UN) Sustainable Development Goals (SDGs) they report on and omitting negative impacts from their sustainability reports. That is according to UN Global Compact’s (UNGC) chief of programmes, Lila Karbassi, who recently worked on the Compact’s new “practical guide” for businesses seeking advice on prioritising which SDG targets to act and report on. Published earlier this month, the guide seeks to provide the tools necessary for businesses to move beyond the current trend of mapping their existing activities and programmes against the 17 goals in order to drive new action. Plastic pollution in waterways and coastlines is an overall system failure of how we design, use and dispose of materials. The myriad of lightweight, durable plastics makes it incredibly hard to recover and sort these resources into usable quantities of similar polymer types. This reduces its embedded value and incentive for collection. Low quality buildings and inadequate town planning are the two main reasons why seismic events are more destructive in developing countries. In response to this issue, my colleagues and I are working on a way to create cheap building foundations that are better at absorbing seismic energy and so can prevent structures from collapsing during an earthquake. And the key ingredient of these foundations is rubber from scrap tyres, which are otherwise very difficult to safely dispose of and are largely sent to landfill or burnt, releasing large amounts of carbon dioxide and toxic gases containing heavy metals. AUSTRALIA – The chairman of the Great Barrier Reef Foundation and two more board members have agreed to appear at a Senate inquiry examining a $443.8m government grant to the not-for-profit. John Schubert, who attended a meeting with the prime minister, Malcolm Turnbull, and the environment and energy minister, Josh Frydenberg, on 9 April that led to the awarding of the grant, will appear before the Senate committee for questioning at a second hearing on 18 September. AUSTRALIA – It is the largest donation of taxpayers’ money to a private foundation in history and appears to have been done by the flying seat of Malcolm’s velvet pants. AUSTRALIA – Adani’s latest environmental plans have failed to address a key demand of regulators, put in place to protect an ancient desert oasis. The ABC has obtained the mining giant’s most recent draft plan to protect the Doongmabulla Springs Complex in central north Queensland, as well as the unique plants and animals that depend on it. BRAZIL – Presidential candidate Jair Bolsonaro is threatening to take Brazil out of the Paris Agreement if he wins the October election. In an unpredictable race, the right-wing Bolsonaro is polling second behind Luiz Inácio Lula da Silva, the socialist former president. But “Lula” is in jail for corruption and likely to be disqualified by the courts, leaving a scattered field. At his campaign launch last month and in subsequent interviews, Bolsonaro said he would join Donald Trump’s US and withdraw from the Paris pact. UK – New battery technology that could see electric vehicles being charged in a fraction of the time of current standards – and powered by either electricity or hydrogen – has been developed by a team of Scottish scientists. UK – Great Britain is on the verge of abolishing the need for coal-fired power over the summer months, according to analysts. This is one of the main headlines from a new quarterly report on the country’s energy mix. Researchers at Imperial College London analysed official data from the National Grid over the months of April, May and June. China’s solar manufacturers are unhappy with recent government policy changes that have put a brake on the sector. “We’ve already halted work on 11 megawatts of industrial and commercial distributed solar PV projects,” says the marketing director for one solar photovoltaic (PV) module manufacturer in Guangdong province. “Without subsidies there’s no return on investment for over a decade, so investors and property owners aren’t interested in distributed solar. With subsidies it only takes seven years to recoup the investment,” he adds. AUSTRALIA – Solar power is a hot topic of conversation on Bruny Island. The tiny island off the southeast coast of Tasmania is home to a solar battery trial. The idea is that solar batteries could help the islanders save money on their power bills, and the energy stored in their batteries could help shore up the energy network, especially during the tourist season. Local John Kobylec was hesitant to invest in solar energy before the trial, which subsidises the full cost of the battery, began two years ago. Now he is a convert. Blockchain energy startup Enosi, established last year with joint founder Solar Analytics, is based on the premise of “helping the little guys succeed against the big guys” and driving the transition to Grid 2.0. Chief executive officer Steve Hoy told The Fifth Estate that consumers have little say over the price of power or where it is sourced. To give them back control the company is “essentially separating wholesale access from the retail” so that anybody can be a retailer, or a “neo-retailer”. AUSTRALIA – Billionaire UK industrialist Sanjeev Gupta has launched a $1bn, one-gigawatt renewable energy plan based in South Australia’s mid-north that he says will lead Australian industry’s transition to more competitive power. In the first of a number of projects slated for the upper Spencer Gulf region, which will also include a lithium-ion battery bigger than Elon Musk’s, Gupta’s energy company Simec Zen has released details of its Cultana Solar Farm. Despite the hype, the Global Liveability Index focuses on things that matter to expats, not citizens. This is different to what is important to the average person living in Vienna, Melbourne or any other city – such as housing affordability, walkability, access to public transport and education, and the number of bike paths. UK – Drivers seeking to park in London’s Square Mile from Monday should consider how environmentally friendly their car is before pulling up. The City of London Corporation announced yesterday that it has deployed a new smart parking system from parking technology specialist RingGo that allows tariffs to be levied based on the emissions performance of vehicles. NEW ZEALAND – The food labelling issue reared its head again on Tuesday when Tomatoes NZ called for clear labelling of imported tomatoes treated with radiation. The organisation said some stores were not labelling Australian tomatoes correctly and had reported those cases to the Ministry for Primary Industries. If you didn’t know about the irradiation requirement in the first place, you’re not alone. The process certainly raises some questions.